You have been looking high and far for activities for your bachelorette party weekend! We hope you had come across Fetes de Fleurs before reading this post but if this is your first time by here we want to say WELCOME LADIES! We are a flower party business where we host fun, floraly events for celebrations like bachelorette parties, weddings, bridal and baby showers, birthdays, etc. You name it- we can come to your hotel, airbnb, event space, house, etc to setup our signature flower bar and then we teach your group how to make flower crowns. 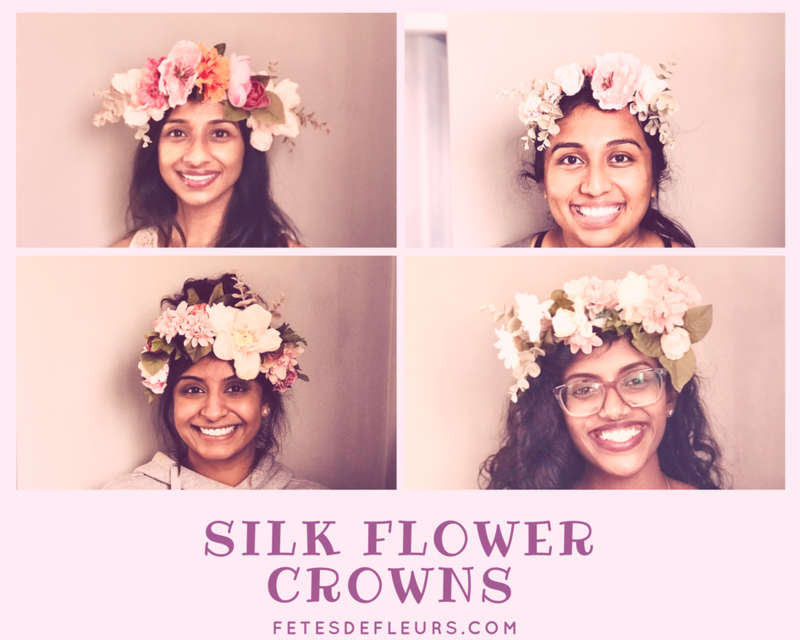 We do other floral activities as well but our main schtick tends to be flower crown parties where we help groups make flower crowns as a fun bachelorette party activity.